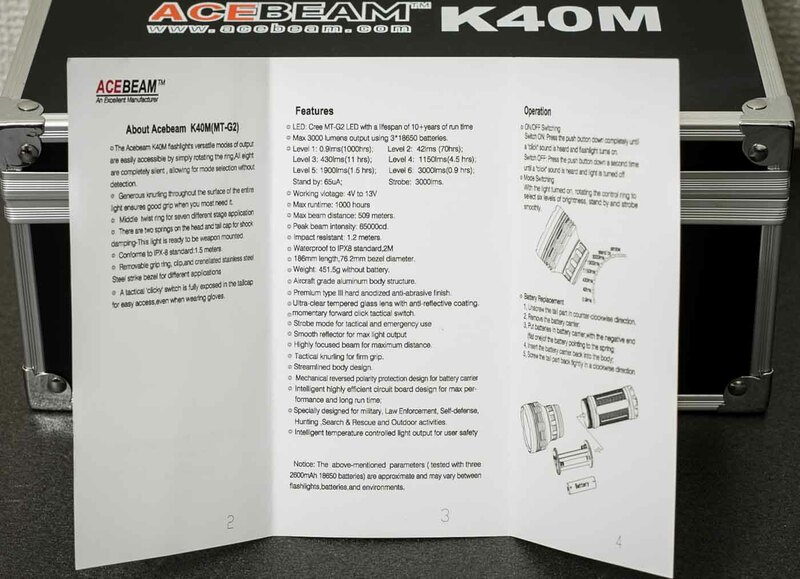 The Acebeam K40M comes in a nice hard carrying case and it includes the K40M flashlight, holster, straps, papers etc.. and has some cutouts to include 3 (spare) 18650 batteries. The padding is pretty stiff and hard, and almost feels like plastic but will do the job to protect the light. The included holster, spare O-rings and papers finish it off. The holster is pretty good, and fits the Acebeam K40M perfectly. Unfortunately due to the weight of the head, the light will tilt when attaching it to your belt facing upwards. You can carry it head-down, but you`ll need to be careful when opening the holster. At first inspection I thought it included a lanyard, but its more of a huge neck-cord. The cord can be attached to the tailcap with a clip. If you want, you can attach any kind of (para)cord. It attaches with a claw clip, which will damage the anodizing already after a few times using. 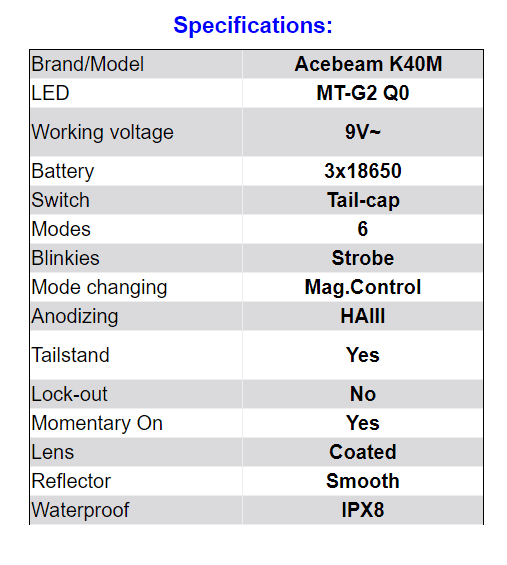 The K40M is already a little dated, dating back to 2014. 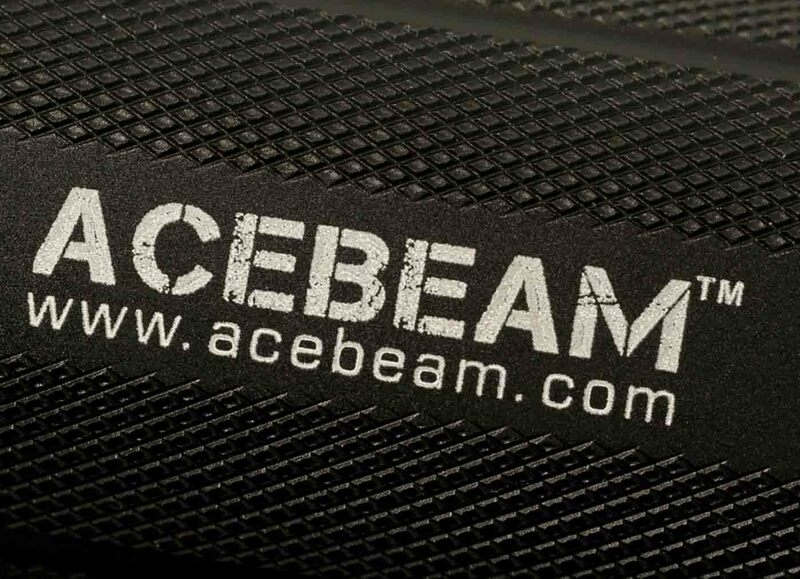 If you want a similar sized, but more powerful and with more throw, look at the 2018 Acebeam K65 review. The all-round king. Don't want to read the full review? Jump to the conclusion. 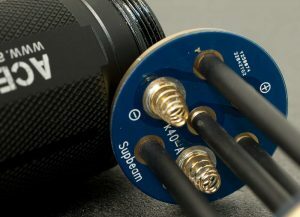 The body of the K40M is about the same diameter as a regular “soupcan” light, like the SkyRay King, supfire M6, BLF Q8 etc. It can be difficult to operate with 1 hand. 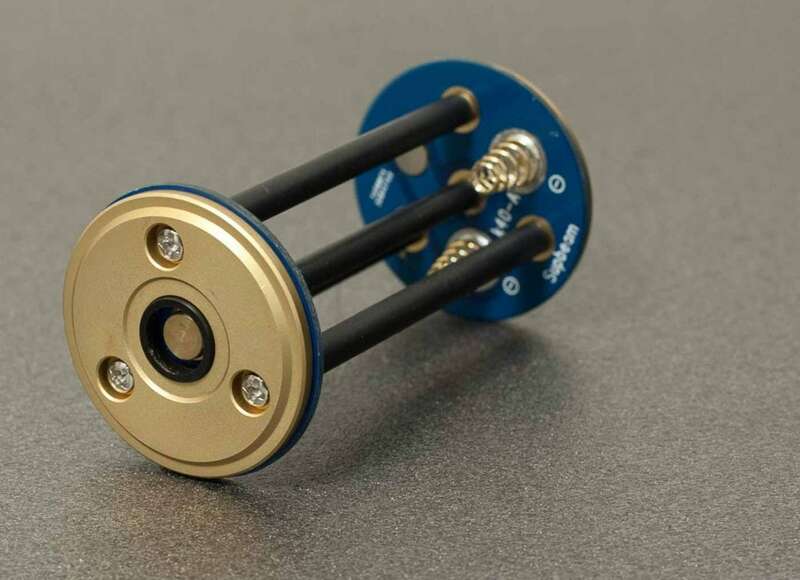 Using the tailcap switch (which I prefer on lights with electronic side switches/control rings because of parasitic drain) and the magnetic ring at the same time needs to be done with 2 hands!! 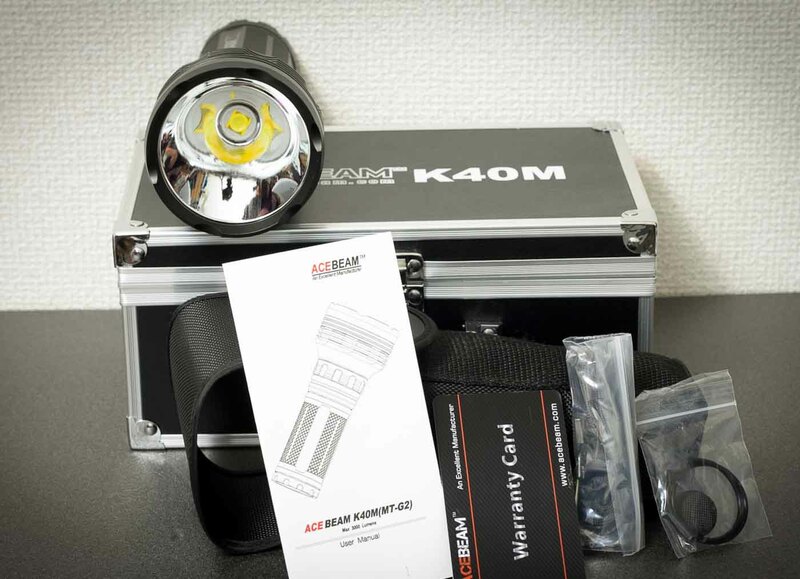 The front part of the K40M is a heavier than the main part, so it feels a bit unbalanced compared to other lights. In the manual you can read: Tactical knurling for firm grip. My hand says: so so knurling for so so grip.. or in other words.. not so much knurling for not too much grip. 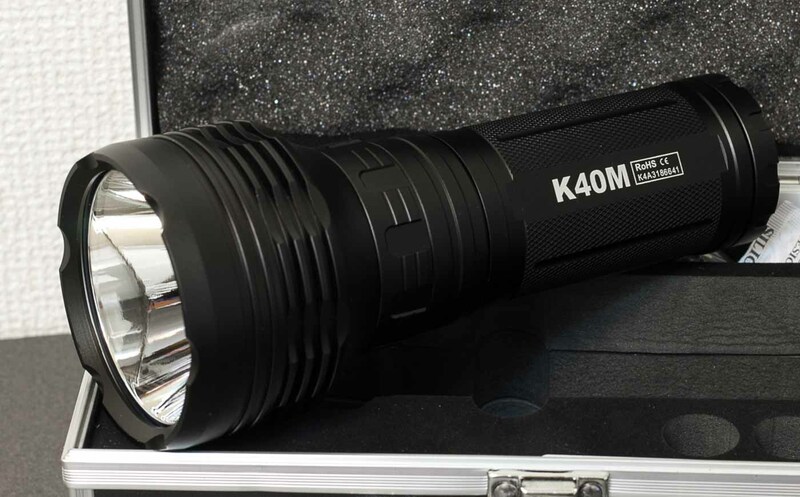 No, the K40M isn`t smooth and won`t slip easily out of your hands, but for this size light, (and for the way of operating it) I would prefer a heavier knurling. This is especially true when you think it can be used in Law enforcement and search and rescue. But the knurling that is done, is done very well.. No mismatch/no missing or chipped parts..
Another thing that could be improved would be the brightness indicator from Low to Max. It doesn`t cover all the output levels. There is a indicator, but only for the lower levels 1-3. 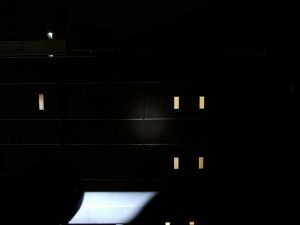 Then there is a empty spot,4-6 until it reaches the Standby and then Strobe. 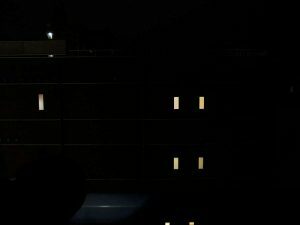 The words Standby and Strobe are so close together, that someone who doesn`t read English could think its 1 word. A few dots would have helped, or even symbols!! Threads are done well, not sharp or thin. 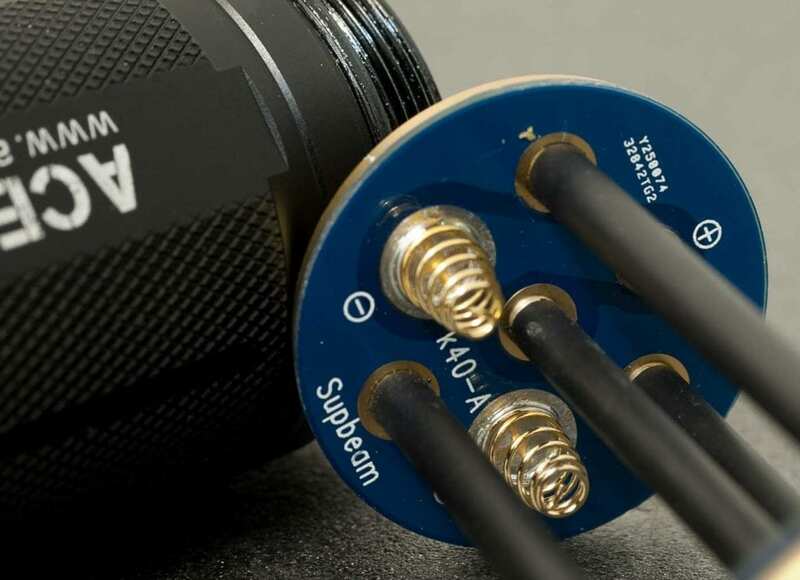 The powerswitch of the K40M can be found on the tailcap with a forward clicky switch. Which indicated it can be used as a Momentary switch. 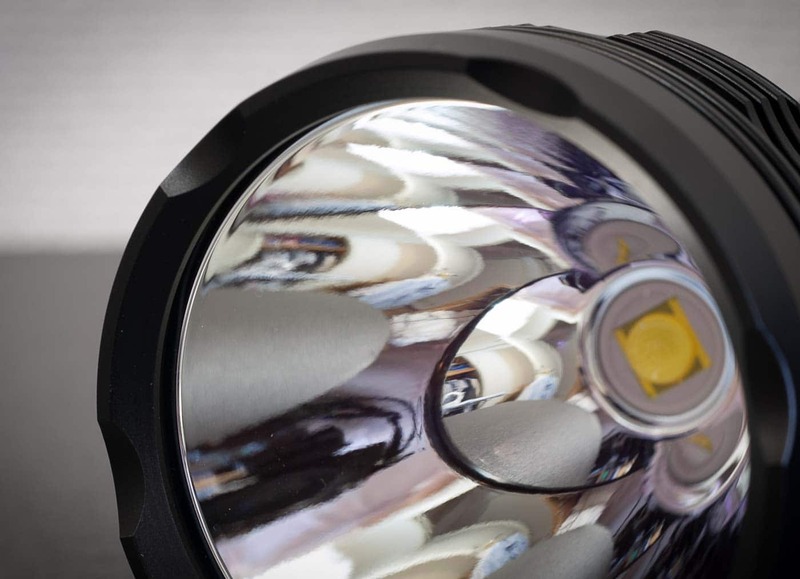 The Magnetic control ring has indents that you can feel for every level of brightness. 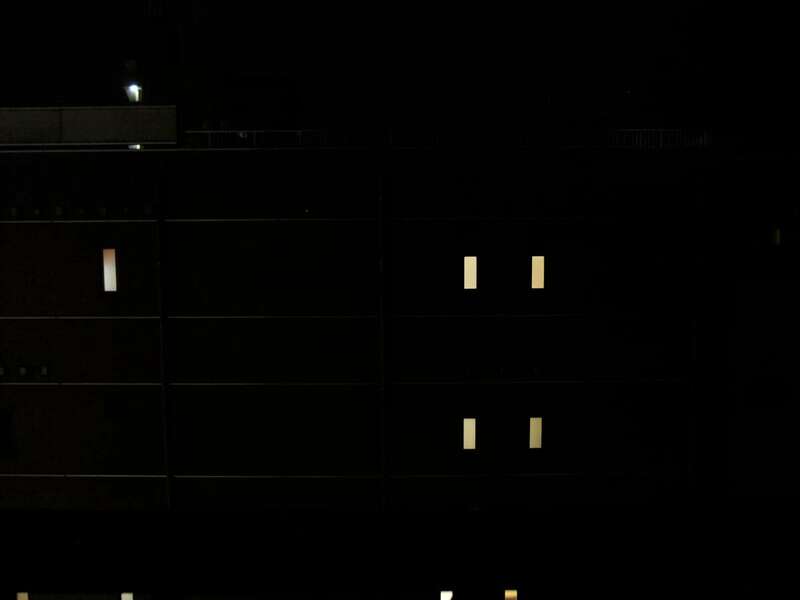 From the left to the right, it starts at minimum brightness to the highest brightness levels. After the max brightness it comes into the Standy mode, followed by Strobe. Operating the light and changing brightness can be very hard with only 1 hand. At the same time it can be pretty hard to press the bottom switch without using a second hand. 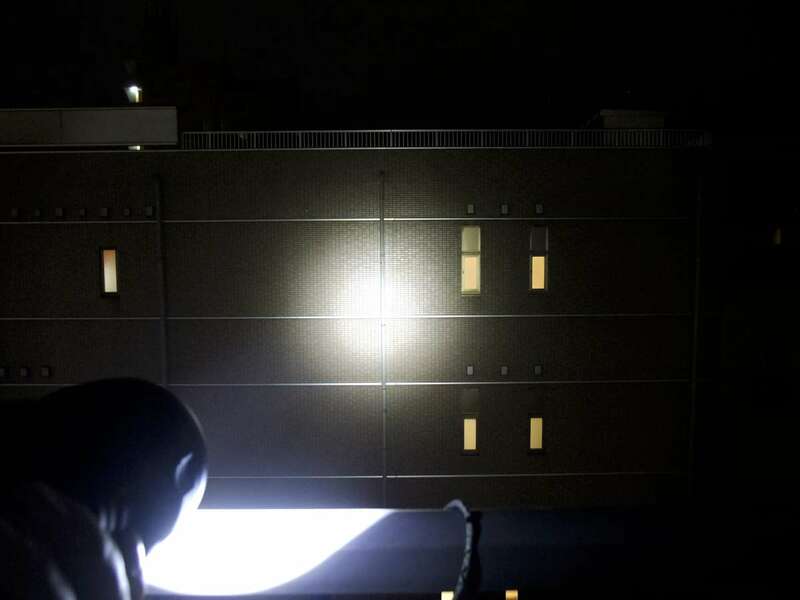 So this light is best used with both hands to operate. 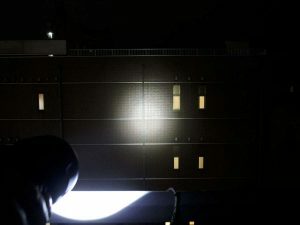 The reflector is quite smooth, but not ultrasmooth. If you look carefully, you can notice some machining rings. Probably due to it being made of aluminum. Interesting to note though, is that plastic reflectors are more likely to be super smooth in my opinion. The lens is described as ; Ultra clear tempered glass lens with anti-reflective coating in the manual. The bezel is not made of Stainless Steel, so be careful when handling. The bezel (as well as all other outer main parts) can be unscrewed, and has no glue. The inner parts on the other hand are glued. The battery-carrier has 3 batteries in series! It can be used with unprotected as well as with protected cells,flat and button top, because of the little nippels inside the carrier. I don`t recommend using unprotected li-ion cells in series such as with this flashlight. Flat top batteries sit a little loose because of the length of the carrier. 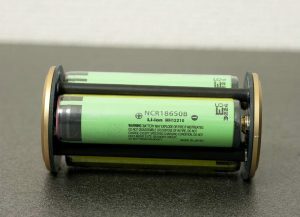 I use protected Panasonic NCR-B 18650 with 3400mAh and they fit tightly. 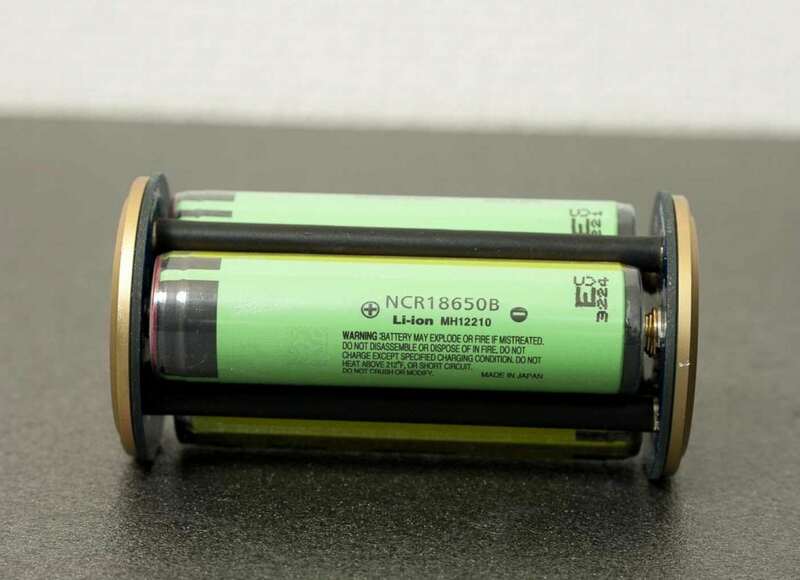 These batteries are used in most of my 18650 flashlight reviews. During testing with Sanyo unprotected batteries I made a short, and it boiled the springs, and because of that the short directly stopped. The batteries didnt make good contact with the springs anymore which saved my light! The Postive contact touches a beefy coiled spring on the driver side. The Tailcap can be unscrewed and has no glue. The K40M consists of 2 main pieces.. The Head and the body. 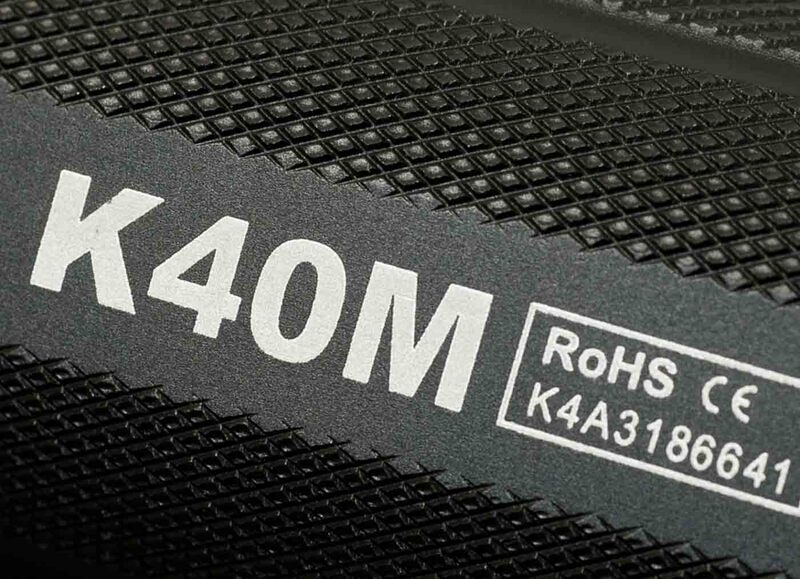 The K40M has 6 main modes within the rotating magnetic ring, plus a Standby mode and a Strobe mode. Levels 1-6, a Standby mode, and at last a Strobe mode. No hidden modes ofcourse. So it is very easy to understand and use! Nope... nothing to worry about. It doesn`t need one, because you can use the tail switch. Measured with 3x NCR18650B panasonic 3400mAh protected. 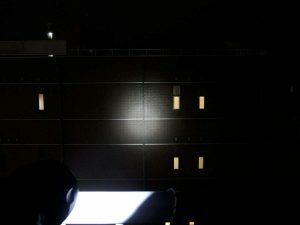 From my experience, the lowest level is not 0.9 lumen as is written in the manual, but a few lumens. When trying to measure the Amps, I made a short. The batteries started to heat up, and the springs disformed. Forutnately I had flat top unprotected cells which minimized the spings so the short finished by itself. Now the springs are shorter,so I will only use protected batteries. The run-time test is done with a set of Panasonic 3400mAh protected 18650 batteries. 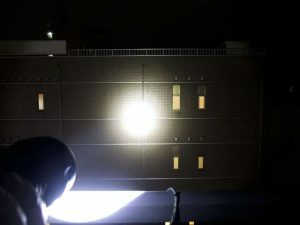 A runtime of 65 minutes, while using 2 small laptop fans to cool the light down. Just before 60 minutes, the K40M started to blink with the Low Voltage warning. All batteries were slightly below 3Volts. My Opus BT C3100 charger didnt accept the batteries. So I did a Discharge Refresh cycle and then it worked.. 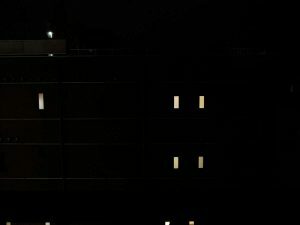 The minimum brightness is low enough on this type of light and not too useless dim. You need to use both hands to operate the light. 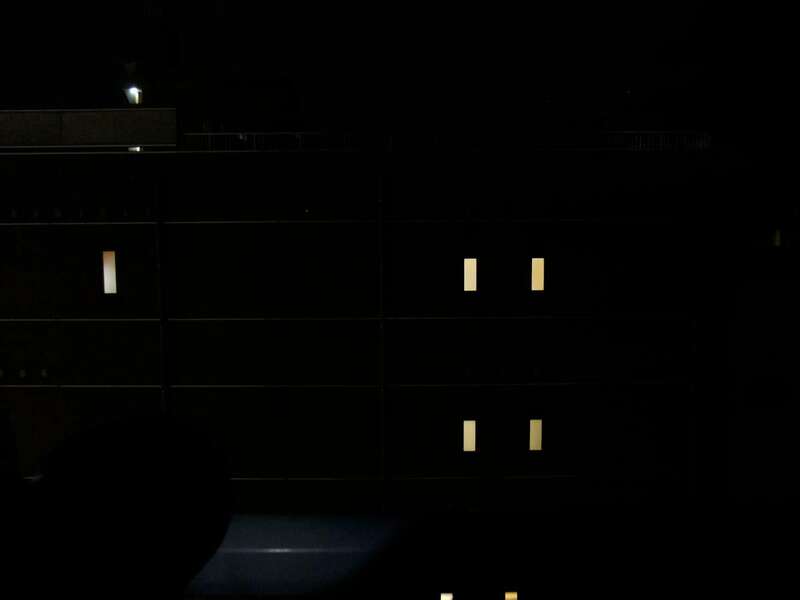 Text and indicators for some brightness levels are missing, plus Standby and Strobe are too closely printed and therefore look like 1 word.